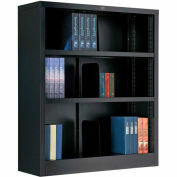 Heavy duty steel construction, double bottom and welded cabinet assembly provides maximum strength and a sleek, clean professional look. 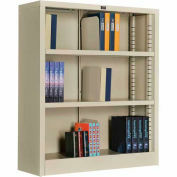 34-1/2" wide shelves adjust in 2" increments. 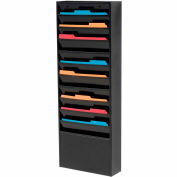 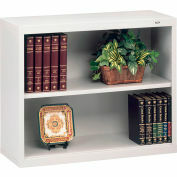 Can serve as room dividers, credenzas, counters, etc. 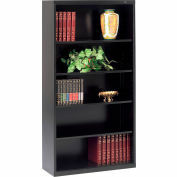 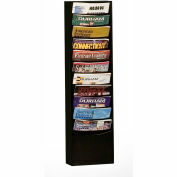 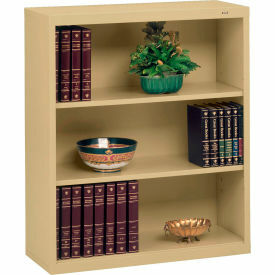 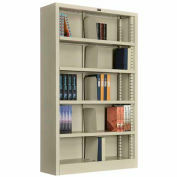 All 34-1/2"W x 13-1/2"D. Bookcases come in Putty, Sand, Black and Light Gray colors. 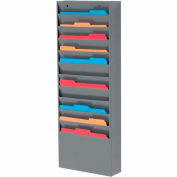 Image displays Putty color.